Have you ever wondered how a human being develops itself out of the initial cell in the womb of the mother? More specifically, if you look at the proportions between the various organs and body parts during the growth of the embryo, you can see that every one of them grows at a different rate. In the beginning all of them are roughly the same size, but as the embryo grows, certain parts of the body get bigger compared to the rest. Even after a baby is born, the proportions between various body parts continue to change as it grows up to the point where it becomes a fully grown adult. How does an organism “know” what the final proportions should be? How does it “know” which parts of the body should grow bigger or faster than others? According to modern science this information is probably stored in our DNA, but we’ve not yet been able to figure out exactly how it’s stored. But I think that I found an important clue related to how this information might be encoded if it’s really stored in our DNA. Not too long ago I wrote a post where I analyzed some of the contents of Akkadian Cylinder Seal VA/243. I looked at the depiction of what was said to be our solar system in the top left corner, and tried to see what the possibilities were that it really was a representation of our solar system. And it turned out that there was indeed a possibility and that the depiction is likely a fractal representation of our solar system where the planets are shown in their logarithmic proportions to each other. For the full details I recommend reading my article on the subject. I had done some simple calculations and graphs which are included in the article, and at some point while I was experimenting with the data, it suddenly dawned on me that I had possibly uncovered the way in which everything in the universe grows. And the way everything is expanding is based on exponential growth. At the very beginning everything may have the same size, but due to different exponents defining their growth-rate, they may grow to different sizes over time. To illustrate this point, I made a new Microsoft Excel file where I used some of the data from the file used in the Akkadian Seal VA/243 article. You can download this file here. What I did was calculate the difference in proportions of the heavenly bodies in our solar system on a logarithmic scale with base 10 (but using any base should give the same results). This gives us the exponential growth rate of each body. 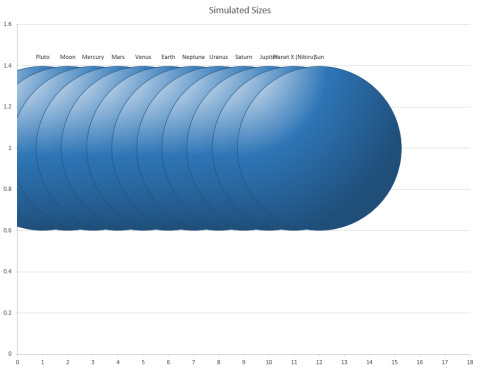 I then normalized these exponents based on the smallest body (Pluto). Based on these normalized growth exponents, I could then calculate new diameters based on a growth rate that I could specify. This allowed me to see how the diameters grew in relation to the growth rate. In the beginning the growth rate would be 1, possibly before the “Big Bang.” From that moment on, the growth rate would continue to increase as time passes on, and the bodies would continue to grow as a result. But due to different growth exponents (the normalized log10 values in this case), the bodies grow at different rates in relation to each other. 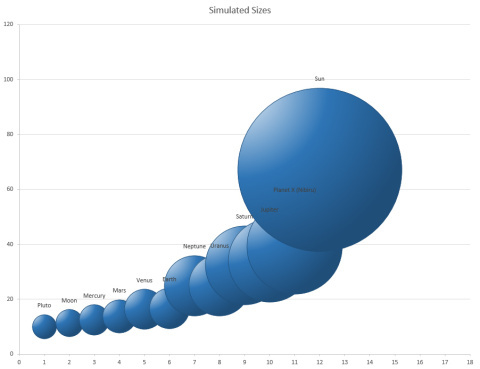 You can see this by entering 1 for the growth rate in the yellow box in the Excel file, and then increasing this value to see how the bodies grow in the bubble chart based on their diameters. For example, with a growth rate of 1, the bodies are the same size. Again, this would be the situation before the Big Bang where everything was packed into a very small and concentrated singularity. But with a growth rate of 2, you can already see that some bodies are growing faster than others. As time passes, the growth rate increases and below is what it looks like with a growth rate of 10. To get to a scaled representation of our solar system as it is right now, you can enter a growth rate of 2307. And as this process of growth continues the Sun will only grow increasingly much larger compared to all the other bodies in our solar system, even while they themselves are also growing. Compare this to how the human body develops itself; at the early stages of the embryo all body parts are practically the same size, but as it develops into an adult human being, the various body parts grow at different rates and end up in different proportions relative to each other. However this growth process doesn’t go on forever. At a certain point the growth process will probably stop for our solar system just like the case is for human beings and other organisms such as bacteria (see bacterial growth). 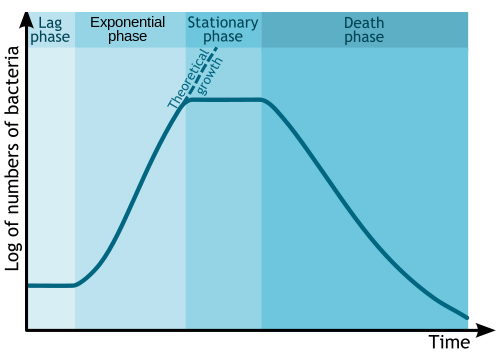 If you look at the bacterial growth chart, the process of growth I’ve described above for the heavenly bodies is the “Exponential Phase.” At some point the growth process stops and enters the “Stationary Phase,” until it reaches the “Death Phase” where the process of decay begins. Scientists have predicted a similar future for our Sun. It will continue to grow until it reaches a point where it stops growing when it becomes a Red Giant. From then on, after there’s no more fuel left to burn, it will start shrinking again until it becomes a white dwarf star that cools down. There’s also the possibility of the white dwarf star becoming unstable in the end and exploding in a supernova explosion, distributing its matter throughout the universe. This is remarkably similar to the bacterial growth process, and also similar to human life. In the case of humans, from the moment the zygote is formed in the womb of the mother, it grows exponentially until it reaches adulthood where growth slows down, only for the process of decay — the death phase — to set in, ultimately resulting in death. This process appears to hold true for a single organism as well as a group of organisms; when you have a group of a certain type of organism, the group can be regarded as a single entity and the same rules apply to the entity as a whole. It’s interesting to note that virologist Jonas Salk, the discoverer of the first polio vaccine, mentioned in an interview in 1980 “that a sharp rise and an expected leveling off in the human population would take place” as humankind’s evolution progressed — the same kind of development we can see in bacterial growth. The fact that these similarities exist at all these levels (bacteria – humans – solar system) shouldn’t be surprising to us, since we know that we live in a fractal universe that is characterized by self-similarity everywhere and at every scale. Microbiologist Dr. Bruce Lipton described the same thing in his presentation “As above so below.” 3 The whole universe is a living organism, itself infinitely divided into smaller parts that are also living organisms similar to the whole, that follow similar processes and rules as the whole. That means, for example, that our planet Earth taken as a single entity is also a living organism, just like Dr. Carl Sagan often remarked, and that the same rules that apply to a cell or a human being also apply to the Earth, but on a higher level. This is why saying that the universe is “expanding” may not be an accurate statement; in fact the universe is growing like a living organism. Once you really understand what this means, a whole new universe of understanding opens up to you and you will be able to make all kinds of connections that you previously wouldn’t even think of. It’s simply incredible. Based on what I explained above, I want to discuss a few related subjects below that I thought were interesting. 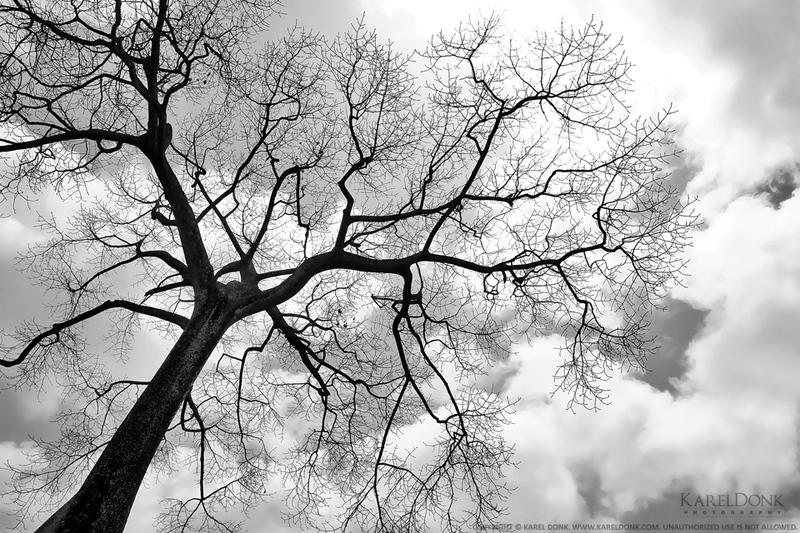 Everything in this fractal system we call our universe appears to be bound by the rules of exponential growth. And when you talk about exponential growth, you’ll also be dealing with logarithmic scaling. 4 For example, even the way our senses work is based on logarithmic scaling. 5 Social developments and technological progress for example are also bound by the same rules. 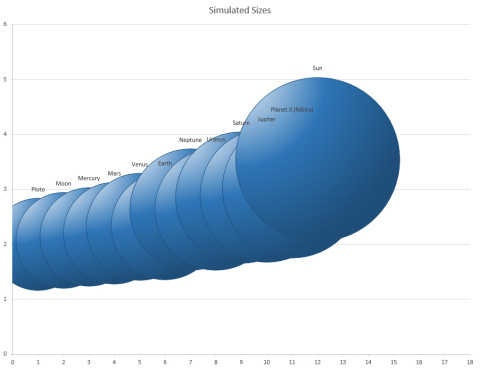 Dr. Ray Kurzweil has successfully used logarithmic plots for years to predict technological progress, specifically in the information technology industry. It was easy for Kurzweil to make predictions because technological and social developments all follow the laws of exponential growth. I highly recommend watching the below presentation by Kurzweil, where he discusses several of his graphs and shows what we can expect in the future. The below lecture by Dr. Albert Bartlett is also very good, and shows how we can better understand social developments if we understand the exponential function. According to Bartlett, many of the problems we’re facing today are due to our inability to understand the exponential function; it’s one of the greatest shortcomings of the human race. And when you watch his lecture, and the presentation by Kurzweil above, you’ll quickly come to understand why he’s right. Sometimes when we look at technological and social developments, it may not be immediately obvious to us that these developments are happening at an exponential rate. This is because in the beginning exponential growth looks a lot like linear growth. But once a certain threshold is reached developments suddenly start to happen at an increasingly more rapid pace to the point that it can become very difficult to keep up. In my previous analysis of Akkadian Seal VA/243, I had discussed the depiction of what was said to be our solar system on the seal. I had shown that the sizes of the globes matched the sizes of the heavenly bodies in our solar system on a logarithmic scale. However, I could not explain the positions of the globes on the seal, even though I remarked that if they were drawn to scale on purpose, then their positions probably also weren’t randomly chosen. Based on what I described above about the growth of the universe and our solar system, one possibility for the chosen positions of the globes could be that it shows our solar system the way it was billions of years ago, when the heavenly bodies were not yet grown to their current sizes. Back then their positions may also have been different as depicted on the cylinder seal. If we assume that they all expanded outwards from a singularity at the beginning, then back then when they were smaller they would also be closer together. From that point on they would slowly grow and move apart from each other. The depiction on the cylinder seal is essentially of a baby solar system. Particularly interesting is the position of the planet Mars in relation to Planet X, compared to the Earth in relation to the Moon. Could Mars have been a moon of Planet X? There are certainly theories that suggest this could be true. In particular there’s a hypothesis by Dr. Tom van Flandern, that suggests that a long time ago Mars was a moon of a very large gas planet in our solar system. Mars was probably habitable back then and had a thicker atmosphere. But after a collision with other planets, Mars eventually ended up where it is right now in our solar system. 6 This hypothesis is remarkably similar to what Zecharia Sitchin suggested in his book The 12th Planet. And as I discussed in my article about seal VA/243, astrophysicists John Matese and Daniel Whitmire also think the large planet we have yet to discover in our solar system is probably a gas giant, just like Flandern’s hypothesis suggests. Yet another source that confirms the existence of the large gas planet in our solar system that has caused major catastrophes in the past is the astronomer Carlos Muñoz Ferrada. While he’s not very known today, back in his day he was very well known and had made many astronomical and geophysical predictions that came true. He successfully predicted major earthquakes and tsunamis for example and discovered new planets and comets and described their orbits with amazing accuracy. Modern scientists are still not able to explain how he was able to do this. Ferrada also predicted that there’s a comet-planet in our solar system that would soon cause major issues for us again. He calls it a comet-planet because it has an elliptical orbit, has the mass of a planet but also has a tail like a comet. 7 And again, this is the same thing Zecharia Sitchin described in his book about Planet X/Nibiru. 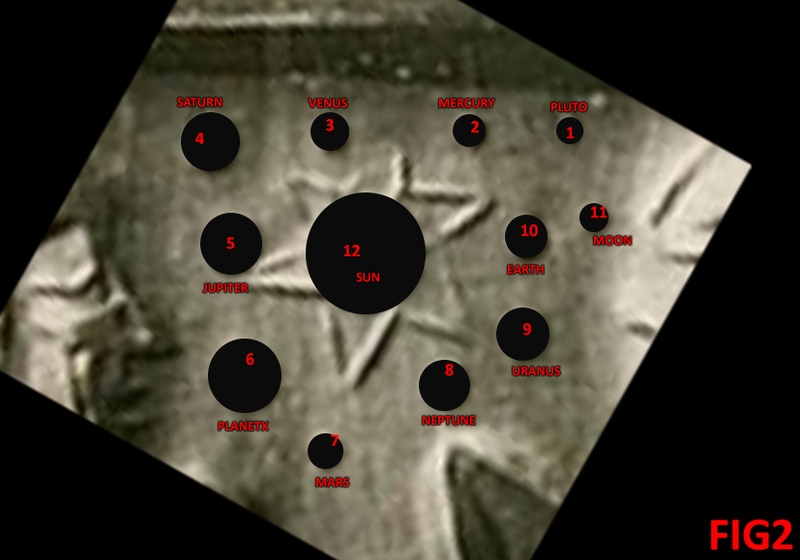 Ferrada however calls the planet Hercolubus. And both Sitchin and Ferrada estimated that this planet would come near Earth again in our current time period and possibly cause major issues again. The fact that millions of years ago the Earth was probably smaller than it is right now, according to what I explained above, also explains why everything living on Earth back then was much bigger. It explains the huge dinosaurs, huge birds, huge fish and huge trees as well as the possibility of giant human beings existing back then, which are mentioned in writings by many ancient civilizations such as the Mayas, Incas and the Sumerians. Even in the bible there are many references to giants living on Earth a long time ago. 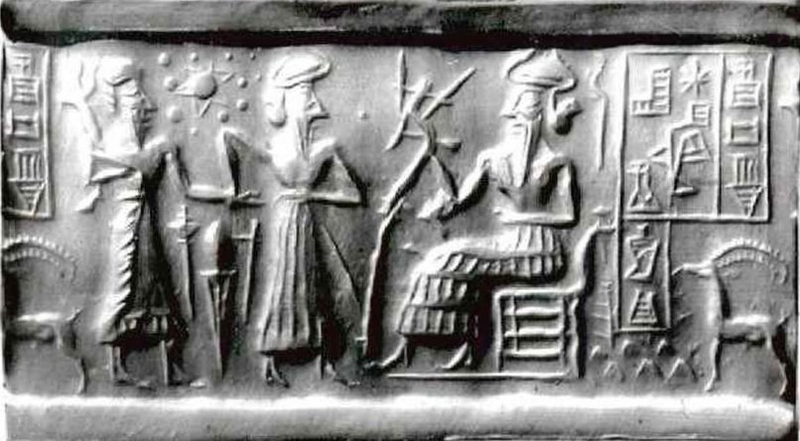 And if you look at the depiction of the god Enlil on Akkadian cylinder seal VA/243 above, you can see that he would be much taller compared to the humans in front of him if he were to stand up. The Anunnaki gods mentioned by the Sumerians were taller than humans. On a side note, the fact that different environmental conditions can change the way an organism grows — even while its DNA stays the same — is also proven by these experiments. The way DNA expresses itself is clearly influenced by the environment it’s in. This same point was also made by Dr. Bruce Lipton in his presentation “As above so below” which I mentioned earlier. 3 While doing stem cell research, Lipton discovered that stem cells which contained the same DNA developed into other types of cells (bone, muscle etc.) depending on their environment. So it’s important to understand that while certain things are determined by the DNA, the environment also plays an important role in how an organism ultimately develops itself. The very brilliant futurist and social engineer Jacque Fresco came to the same conclusions during his research. Especially when it comes to human behavior for example, a lot is simply learned from the environment. When people exhibit undesirable behavior, instead of blaming their DNA and trying to find out which gene is responsible, we should instead look at changing the environment that produces such people. Similarly, when people develop health issues, instead of blaming their DNA and trying to find out which gene is responsible, we should look at what’s wrong with their living environment and the nutrition they get. At the beginning of this article I asked how an organism “knows” what its final proportions should be during the growth process. 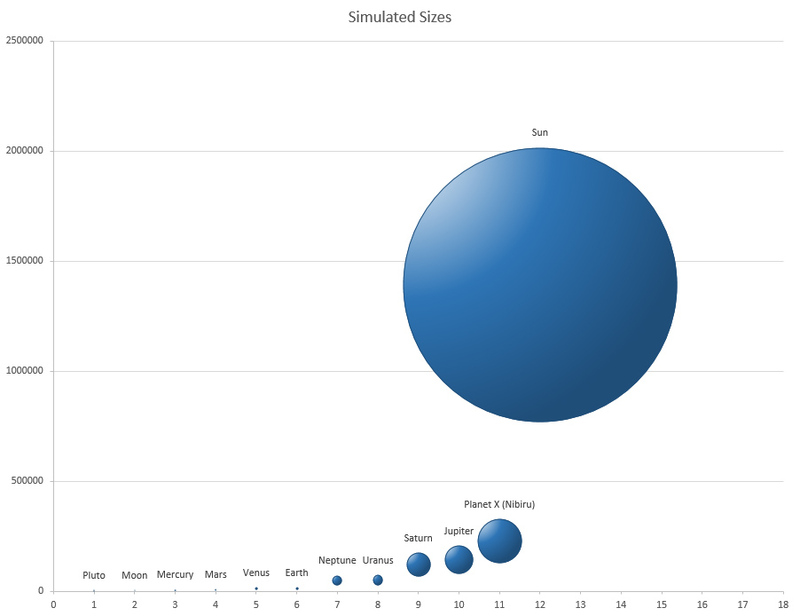 And based on what I’ve discussed above, I think the proportions are very likely stored as exponents. And if they are indeed stored in DNA, then the sequence of DNA that describes a specific body part for example has its own exponent stored with it that tells the organism how it should scale up. And when it does scale up during the growth process, it does so based on logarithmic proportions instead of linear proportions. For example, consider microbes living on the body of a human being. How would these microbes know that the surface they’re living on was growing very slowly? And if they knew, how would they be able to find out how exactly it was growing? How would they know that they’re living on a human being, that the human being goes through a process of working every day to make money and acquire food, eating that food and digesting it in all kinds of complex processes which ultimately causes the surface they’re living on to grow from within? The microbes wouldn’t know where all the extra mass came from. They would have no clue about all these things and absolutely no hope of ever fully understanding it, especially not with their short lifespans compared to humans. Is this also our fate? Are we the microbes living in, or on, a much, much bigger organism that we will never be able to grasp with our imaginations at our level of existence? Based on the fractal universe theory, we can make some general predictions about those higher levels of existence, but we’ll probably never be able to find out or understand the details at those levels. Even going the other way and looking deeper into the smaller levels of existence below us via quantum mechanics and trying to understand those worlds is proving to be a huge challenge. But it’s clear, like Dr. Albert Bartlett said, that at least on our level of existence, understanding the exponential function can be very beneficial for us in terms of understanding our lives and the environment that we live in. The reason why everything in our environment exhibits exponential growth is because that is one of the key characteristics of a fractal system. The universe is a giant fractal system that’s infinitely divided into smaller fractal systems with self-similarity at every scale. By really understanding these concepts, we’ll be able to solve a lot of the problems and answer many of the questions we’ve had for a long time now. Unfortunately though, it does seem like some questions can never be answered. In about 1.1 billion years, the solar luminosity will be 10% higher than at present. This will cause the atmosphere to become a “moist greenhouse”, resulting in a runaway evaporation of the oceans. […] By that point, most if not all the life on the surface will be extinct. The most probable fate of the planet is absorption by the Sun in about 7.5 billion years, after the star has entered the red giant phase and expanded to cross the planet’s current orbit. The speed at which the Moon is moving away from Earth could affect life on the planet, but this could take billions of years to happen, writes space scientist Dr Maggie Aderin-Pocock. […] The Moon continues to spin away from the Earth, at the rate of 3.78cm (1.48in) per year, at about the same speed at which our fingernails grow. 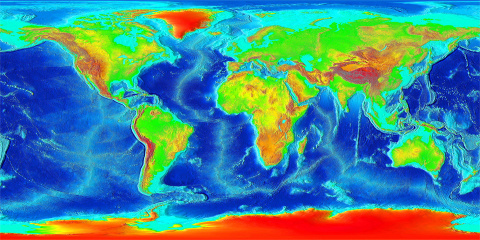 Australian geologist Samuel Warren Carey came up with the Expanding Earth hypothesis to explain continental drift. However, according to Neal Adams, Earth is not merely expanding, but growing, which would imply that Earth is in some way alive. I highly recommend watching the below video presentation by Neal Adams which very convincingly explains this hypothesis. This is consistent with everything I explained about exponential growth in this fractal universe; you would expect the growth process to increase exponentially over time. Condensation of the primary substance is going on continuously, this being in a measure proved, for I have established by experiments which admit of no doubt that the sun and other celestial bodies steadily increase in mass and energy and ultimately must explode, reverting to the primary substance. By primary substance, Tesla meant the aether. One thing Adams probably didn’t think of however, is that you can continue to go back in time and keep shrinking the Earth until it becomes very, very small, according to what I explained above. The highest mountains would be the oldest parts of Earth’s surface in this case. I highly recommend checking out the below presentation by Dr. Bruce Lipton titled “As above, so below.” The human body is a fractal, existing within the larger fractal universe. By understanding the smallest building block of this fractal, we can get a good understanding of the larger structure as well because they are self-similar. For more check out my article The Holographic and Fractal Universe. Logarithmic scales reduce wide-ranging quantities to smaller scopes. For example, the decibel is a logarithmic unit quantifying sound pressure and signal power ratios. In chemistry, pH is a logarithmic measure for the acidity of an aqueous solution. Logarithms are commonplace in scientific formulae, and in measurements of the complexity of algorithms and of geometric objects called fractals. They describe musical intervals, appear in formulae counting prime numbers, inform some models in psychophysics, and can aid in forensic accounting. In the same way as the logarithm reverses exponentiation, the complex logarithm is the inverse function of the exponential function applied to complex numbers. The discrete logarithm is another variant; it has applications in public-key cryptography. Some of our senses operate in a logarithmic fashion (Weber–Fechner law), which makes logarithmic scales for these input quantities especially appropriate. In particular our sense of hearing perceives equal ratios of frequencies as equal differences in pitch. In addition, studies of young children in an isolated tribe have shown logarithmic scales to be the most natural display of numbers by humans. For more information watch the video below titled “Dr. Thomas C Van Flandern’s ‘The Violent History of Mars’“. I also highly recommend watching all presentations by Dr. Tom van Flandern on the planet Mars that you can find online (there are a few on YouTube). Mainstream science isn’t telling us everything there is to know about Mars. Watch the below video which contains an interview with Carlos Muñoz Ferrada for more details. Watch the documentary “Giants – The Mystery and the Myth” below. At around 24 minutes in, you can hear Dr. Bauer talk about his experiments and see one of the results. I highly recommend watching it in full. The below video by Michael Tellinger shows part of a bone that was found in South Africa of what must have been a giant human being. The bone was found in the early 1960s and has been in storage at WITS University. And in the below video Tellinger shows us a giant footprint about 4 feet long made in granite stone which can be seen in the Mpumalanga province in South Africa. It is estimated to be between 200 million and 3 billion years old according to Tellinger. In 1888 Ivan Osipovich Yarkovsky suggested that some sort of aether is absorbed within Earth and transformed into new chemical elements, forcing the celestial bodies to expand. This was connected with his mechanical explanation of gravitation. Also the theses of Ott Christoph Hilgenberg (1933, 1974) and Nikola Tesla (1935) were based on absorption and transformation of aether-energy into normal matter. Researchers have changed the size of a handful of Florida ants by chemically modifying their DNA, rather than by changing its encoded information. The work is the latest advance from a field known as epigenetics and may help explain how the insects—despite their high degree of genetic similarity—grow into the different varieties of workers needed in a colony. A team from McGill University in Montreal, Canada, suspected that the mechanism involves DNA methylation: the addition of a chemical to DNA. Genome sequencing and other methods suggest that these physical differences don’t usually stem from genetic differences between individual ants. Instead, environmental factors help push workers to become majors or minors—specifically, the amount of food and coddling that young ants receive. But just how do these factors change the size of ants? To test their idea, the researchers dosed Florida carpenter ant larvae with compounds that promote or curb methylation throughout the genome. Cells typically use DNA methylation to shut down the activity of specific genes, and past studies have suggested it alters growth in social insects. Researchers have found, for example, that reducing the amount of DNA methylation in bees, which are closely related to ants and have a similar social organization, spurs larvae to morph into queens. “We have provided a biological mechanism that can explain that difference” between major and minor workers, says Sebastian Alvarado, lead author on the paper, who is now at Stanford University in Palo Alto, California. This entry was published on Tuesday, December 24th, 2013 at 1:35 am by Karel Donk and is filed under Information Technology Science Takes on Life exponential growth fractal universe holographic universe nibiru planet x seal va/243. You can use the permanent link to bookmark and/or share it. as for the giant foot print in Granite not so unless the person could have with stood thousands degrees of molten rock! Granite is not mud! Perhaps conditions back then were such that granite could be soft or fluid in much lower temperatures. Maybe if the Earth was much smaller in size back then, which would also allow for “humans” to grow much taller in size.